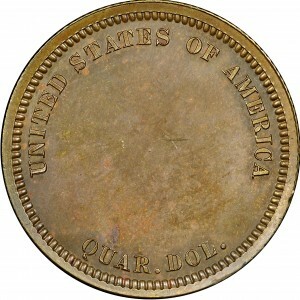 Very few patterns were issued with the 1857 date, and all are quite rare. In fact, there are only five pattern varieties with a total combined population of only about 35 examples. This interesting quarter dollar pattern features the regular obverse design with an experimental reverse including only the statutory legend and denomination. Lettering is of slightly different style than on circulation strikes. 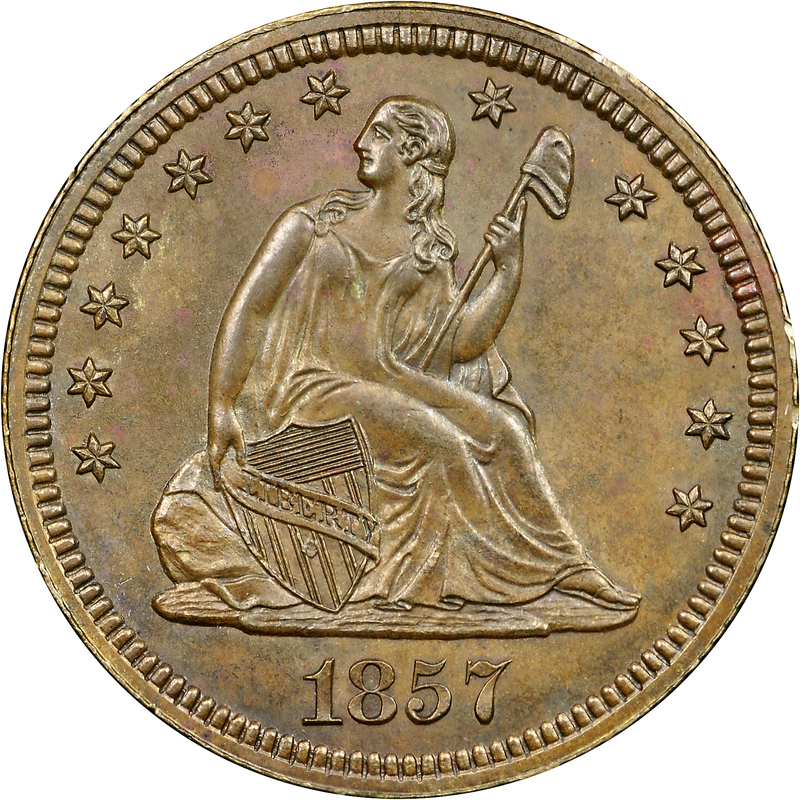 Anthony C. Paquet began his tenure at the Mint on October 20, 1857, and almost immediately added his creative artistry to pattern issues. 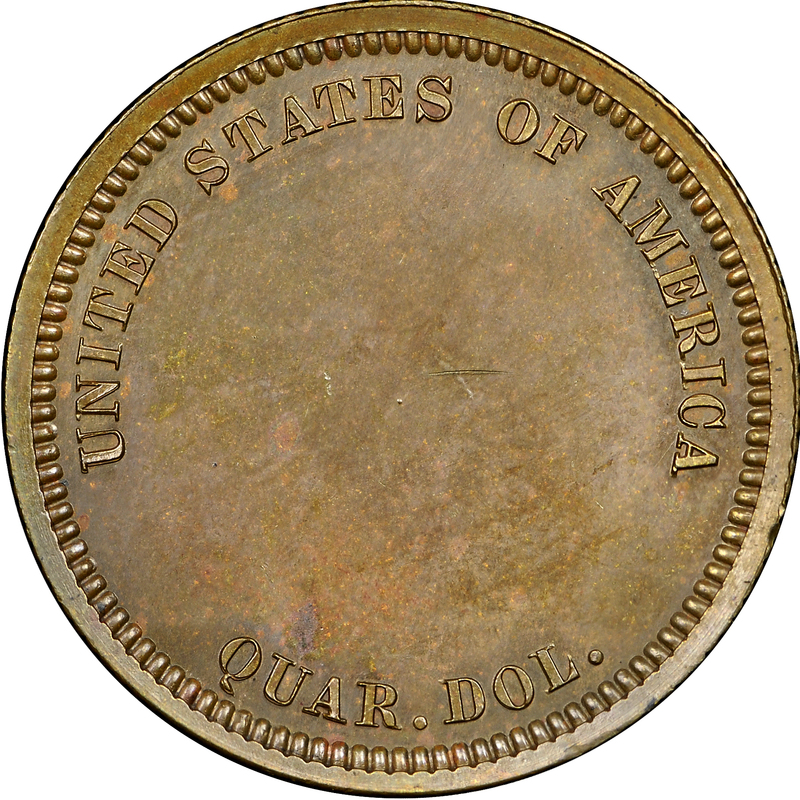 Dr. J. Hewitt Judd suggested that Paquet created this reverse. Purchased from Brinton T. Schorer, May 3, 1973. 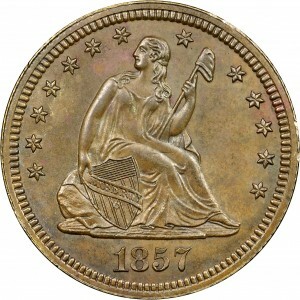 Liberty seated on rock, holding shield and liberty pole with cap, 13 stars around, date below base of rock. The standard Liberty Seated design. UNITED STATES OF AMERICA QUAR. DOL. around a blank center.